In their time-worn tradition of transforming ordinary house pets into celebrity doppelgangers, British retailer Takkoda have done it again with their latest Audrey Hepburn inspired kitty makeover. 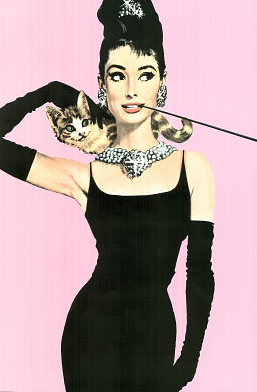 And if you haven't already seen Breakfast at Tiffany's, take our word that you're missing out on a classic piece of purrfect feline cinema! From IMDB: "Orangey the Cat is the only feline double-winner of the Patsy Award, the animal kingdom's equivalent of the Oscar. 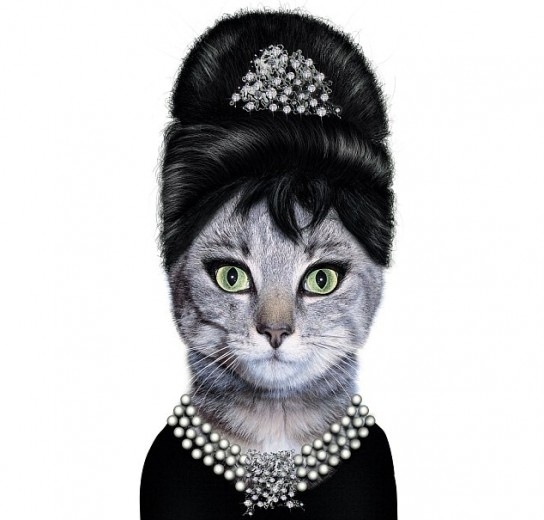 The Patsy Award is given out by the American Humane Association's Hollywood branch and stands for Picture Animal Top Star of the Year. 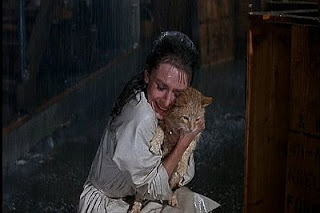 Orangey won his first Patsy for his cinema debut in Rhubarb (1951), playing the eponymous baseball team-owning cat in the 1951 film. 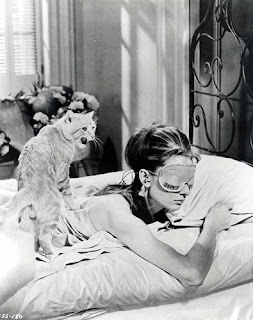 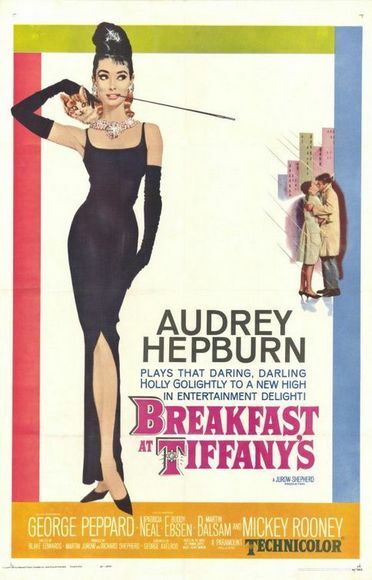 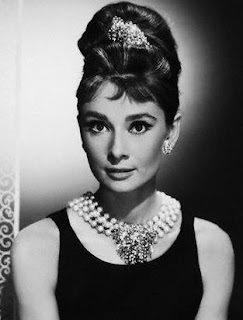 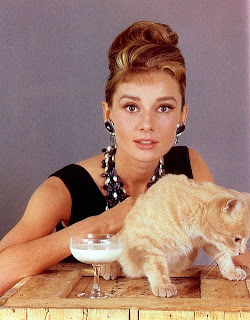 Ten years later, he won his second Patsy, playing "Cat" in Breakfast at Tiffany's (1961), a homeless feline described as a "poor slob without a name" by Holly Golightly (Audrey Hepburn), whom he visits.